It's been 2 months since last time I updated my blog. I think if there is an award for the most lazy blogger, I'll won it (>.<). Btw, lately I've been motivated to exercise. I have no aim for losing weight at all because I'm already very skinny (5'3 and 46 kg). 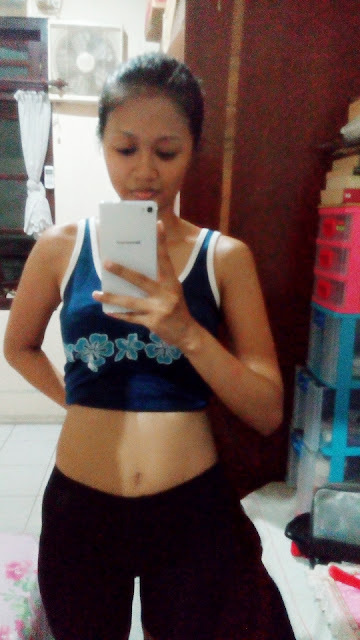 So my main purpose is to be healthy and fit (also get rid my bloated tummy...lol...). At first before I decide to start exercise, I feel that I'm getting tired easily. Even if I got enough sleep, I still feel tired. My stamina is in a low level and I didn't feel good at all with it. After a while feeling bad like that, I decided to start exercise. Not a fancy one by join a gym or class, just self exercise at home. For the first step I only did it 15 minutes daily for 3 days. The result is MUSCLE PAIN. Imagine about a body that never been work out for years then I force it to work out. I got muscle pain all over my body (especially my leg). But after exercise routine for a while my body is gradually adjusted and I feel better day by day. Nowadays, I didnt feel severe muscle pain after exercise. Only sometimes I will feel it if I use dumbell as weight. Now after doing exercise for two months, I can feel that slowly my body have more stamina. 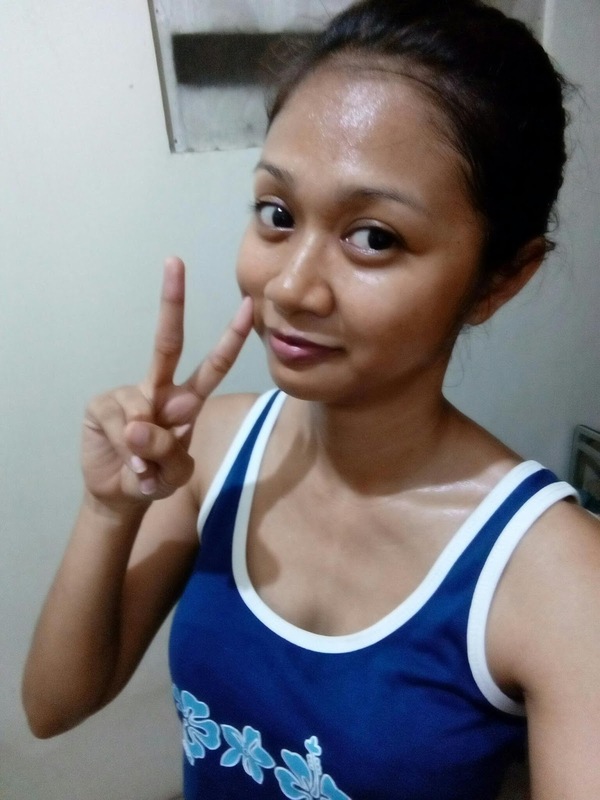 I'm not easily tired again, my bloated tummy is reduced, and my body slowly toned. I did exercise about 30 minutes, 4 or 5 times a week. I need a rest day to rest my muscle, so 4 or 5 times a week is enough for me. I did it once a week for 15 minutes and I consider it as warm up. Or if I didn't do static bike then I'll do jumping jack for 90 seconds as warm up. Squat is help to lift our bum muscle and make it look rounder. In my case I didn't think that my bum become rounder yet but it actually lift my bum up. Once again, I'm very skinny so my body have no curves. I was getting use at it, but after do exercise for a while finally I have bum (>///<). My favorite exercise account at YouTube is fitness blender. Their video for beginner is really help me to start my exercise journey. What exercise that you do daily? Please share with me your healthy secret :). PS: sorry no bahasa translation, aku nulisnya pake blogger Android. I do yoga 6 days a week and I think it;s great for relaxation and definitely improve my flexibility. Good on you for trying to be fit! I don't really need to exercise because I'm skinny enough, too but I love to do it to tone my body and to simply feel better sometimes. Baca postinganmu langsung inget udah lama banget ga olah raga, well kayak dah waktunya ngeluangin waktu buat olah raga selain jalan kaki. Salam kenal ya, thanks for inspiring. i'm following you.. mind to visit and follow back my blog? great post and perfect result! such a motivation! thanks for the article, yah..